Compatible Canon Toner Cartridge, Cyan, 1,500 page yield. Replaces Canon part number: 6271B001AA, 131 Cyan. Color Laser Toner Cartridge compatible with Canon imageCLASS LBP7110Cw, MF624Cw, MF628Cw, MF8280Cw. 17 out of 17 (100.00%) customers would recommend this product to a friend. Easy to use, Great price, Good email reminders to order with percentage discount incentive. Used primarily for business. The ink in my order for my canon imageclass printer does a perfect job at half the price of other inks. The ordering is easy and convenient as well. Anyone with a Canon printer who wants to save money should get this product. As everyone knows, toner cartridges can be more money than a new printer, especially when purchasing name brand. These compatibles performed flawlessly, just as good as the higher price stuff. No doubt I will reorder. This was easy to order, cheaper than big box stores, and shipped quickly! I chose this product over the recommended products listed by Canon because I needed a more affordable option. I am very happy with my purchase as this product has resulted in excellent print outs with bright color. Love it. This is a great price for a printer cartridge! It lasts a long time, and the shipping is quite quick. I'll definitely be buying more when needed. I didn't think it would be as good as it is., and can't beat the price. Great products, great printing, no issues! The price was right! Easy installation instructions. Printing is clear with good color. Exactly what I needed...excellent print quality. I tried using a cheaper company and I had nothing but problems. I am back and learned my lesson. Since I bought my Canon Image Class all in one printer, I have been using the manufacturing Canon toner cartridge, spending a lot of money on ink/toner. In order to minimize the economic burden, I started using this compatible toner cartridge. I was very surprise on the quality and ofcourse the price. Great product at a great price. I buy all my inks from this website. Excellent quality, great price, outstanding customer service! Great value for the price. Print quality has been great so far. Put the cartridge in the machine and it started printing great right out of the box. The item is compatible, works well, and prints well. Overall a very good business experience. Compatible Canon Toner Cartridge, Magenta, 1,500 page yield. Replaces Canon part number: 6270B001AA, 131 Magenta. Color Laser Toner Cartridge compatible with Canon imageCLASS LBP7110Cw, MF624Cw, MF628Cw, MF8280Cw. Compatible Canon Toner Cartridge, Yellow, 1,500 page yield. Replaces Canon part number: 6269B001AA, 131 Yellow. Color Laser Toner Cartridge compatible with Canon imageCLASS LBP7110Cw, MF624Cw, MF628Cw, MF8280Cw. Compatible Canon Toner Cartridge, Black, 1,500 page yield. 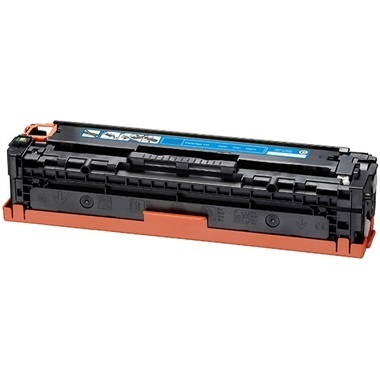 Replaces Canon part number: 6272B001AA, 131 Black. Laser Toner Cartridge compatible with Canon imageCLASS LBP7110Cw, MF624Cw, MF628Cw, MF8280Cw. Compatible Canon Toner Cartridge, Black, High Capacity 2,400 page yield. Replaces Canon part number: 6273B001AA. Laser Toner Cartridge compatible with Canon imageCLASS LBP7110Cw, MF624Cw, MF628Cw, MF8280Cw.